In the US, 2008 was the year in which the results of bad decisions hit (the economy), the year people voted for change (the election) and the year that policymakers started to acknowledge that the effects of choice architecture are too strong to ignore. 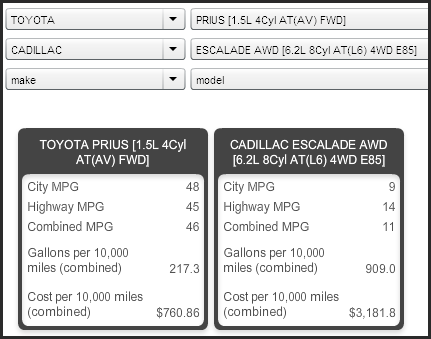 Keeping with the theme of helping consumers make better choices, the wunderduo of Larrick and Soll have created an online calculator to help people easily see the monetary tradeoffs they are making when choosing one car over another. It all comes down to gas mileage (or should we now say mile gassage). Check it out here. See also, the MPG illusion. Disabuse yourself of the MPG illusion was written on December 15, 2008 and filed in Research News.